← Don’t Be A Conspiracy Theorist! 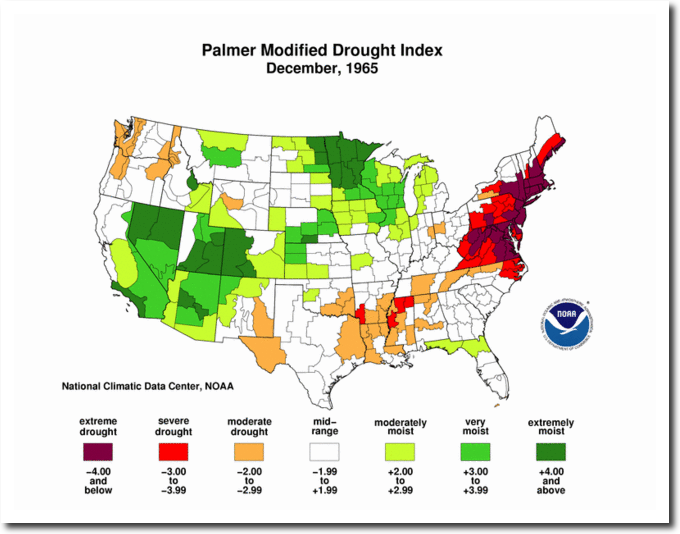 On this date in 1965, most of the Eastern half of the country was over 60 degrees, and the northeastern US was in extreme drought. It was 62 degrees in Michigan, 66 degrees in Massachusetts, 69 degrees in Rhode Island, and 71 degrees at Washington D,C. 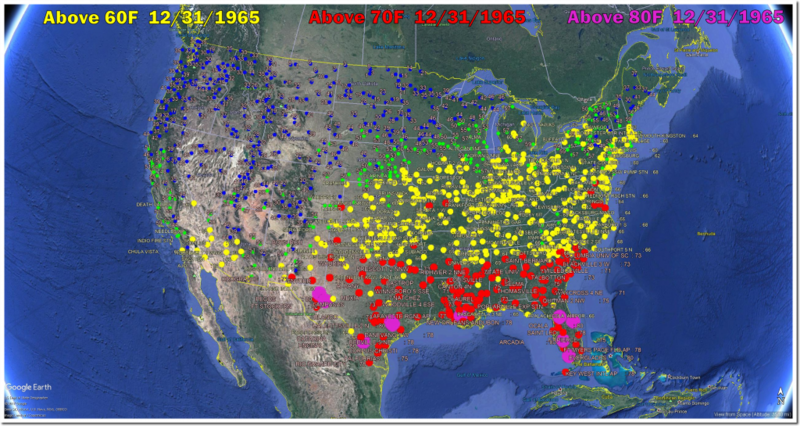 January 1966 made a complete pattern reversal from December 1965, with extreme cold and record snows from the Deep South to New York and New England. Certainly indicative of how volatile and unpredictable winter weather can be.